The success of GPS Tag targeted our team on the new developments in the area of software trackers and stipulated the introduction of an advanced product from Gurtam. Although some of our partners participated in WiaTag open testing and have already formed their own opinion on the new product, we are glad to announce the release of a full version for Android OS. Now that full functionality of the new software tracker is available for all users, we decided to compare WiaTag and GPS Tag to demonstrate the differences between the apps that at first glance seem to be very alike. Apart form theoretical evidence, we are going to present the results of test drives to compare the performance of both applications installed on smartphones of various price ranges and brands. GPS Tag is a free application developed by Gurtam team to work with Wialon Hosting and Wialon Local tracking platforms or free GPS Trace service. Visit our web-site for the links to download the latest versions of the app for iOS or Android and see detailed configuration documentation. On default the application is configured to operate with Wialon Hosting. The IMEI of the mobile device serves as a Unique ID of the unit. If necessary, it’s possible to use another tracking platform after changing target server manually. 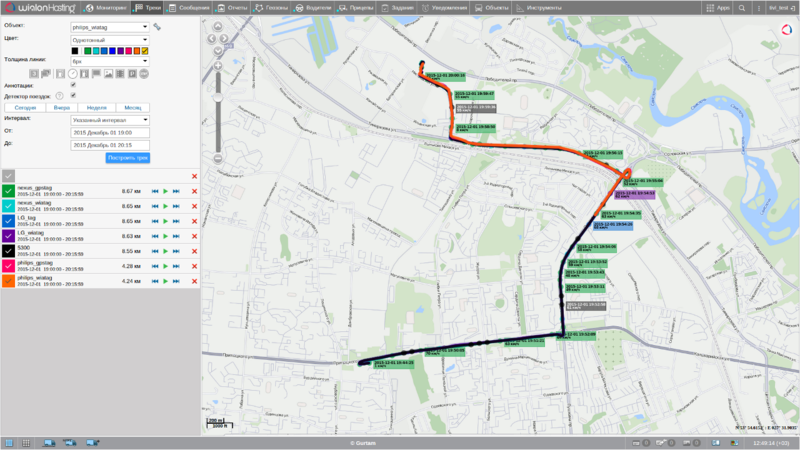 It should be noted that Wialon Hosting and GPS Trace Orange services utilize a single database, which prevents the creation of multiple units with similar Unique ID. Thus, this field may require manual amendments for one of the platforms. The App is mainly used for unit location detection and to coordinate data transmission to the tracking platform server. The above stipulates a rather standard list of available message parameters. It should be noted that apart from standard messages you can send pictures taken by the integrated camera (or chosen from gallery) from the main menu of the application. The core parameters affecting the quality of track building are listed in “Location detection” tab. 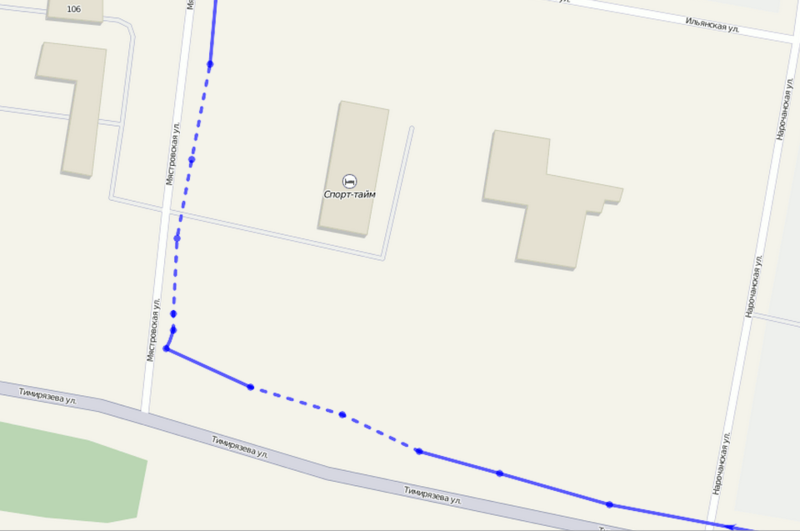 By default GPS receiver is set as geodata source. To minimize location detection time we recommend GPS + Wireless networks combination. Messages filtration settings affect messages frequency: the more frequent – the more detailed track is built on the tracking platform server. It should be kept in mind however, that messages frequency affects traffic and battery power consumption. From our point of view default settings are suitable for vehicle tracking. Rambling and other movement types demand personal configuration of filtration parameters. GPS Tag is also not without disadvantages. The application is more “traffic-hungry” due to text data communication protocol. When Internet connection is missing (GPRS or Wi-Fi) messages reach the device memory (“black box”) and are uploaded to the server one by one, omitting data package formation. Message uploading management option is unavailable. Track uploading time may last for tens of minutes. Another problem with GPS Tag is high energy consumption. The developers fend off the deficiencies in the new WiaTag application. It’s necessary to create a unit in Wialon system before launching WiaTag. To ensure data security there is an option to set up a unique password to restrict unit access. If unit ID confirmation from Wialon servers is missing, application launch is impossible. Upon authorization procedure completion you have to choose from three operating modes, including “Active”, “Standard” and “Lite”. A profile is a combination of messages filtration parameters affecting track quality. Any profile may be modified or created from scratch (“+” button). As opposed to GPS Tag, configured for in-vehicle use, WiaTag possesses far greater pre-setting capabilities. After profile selection you see the main menu. 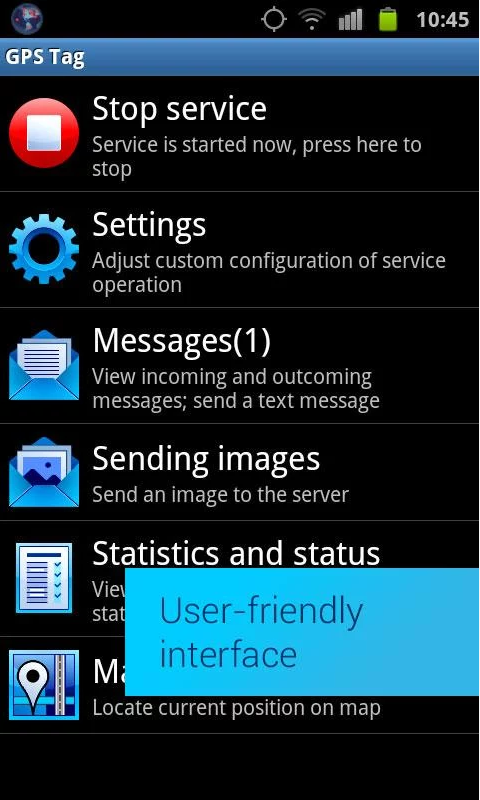 Here you can launch a tracker, send status or photo to the server and come over to advanced application settings. Moreover, from the main menu you get access to “black box” messages sending management, unavailable in GPS Tag app. The function allows you to see the quantity of messages in the “black box” and send a single package to the server whenever it’s convenient. Data communication time is minimal and depends on internet link peculiarities. Most of the settings are intuitive, which allows us to focus on the most interesting points. “Google Fused” was added as a geolocation source. A new algorithm enables to analyze all the geodata sources and get maximum possible accuracy as it stands. 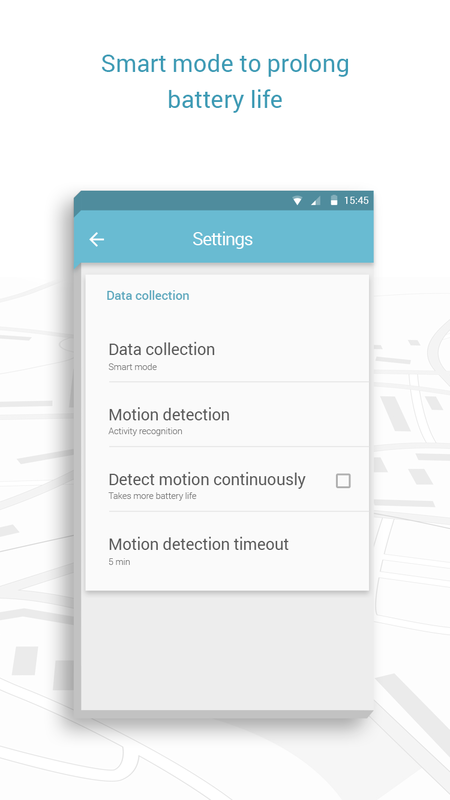 If “Smart” data collection mode is active data uploading starts only in case of motion detection or trigger action (for instance, GSM/WiFi modules or accelerometer status change). 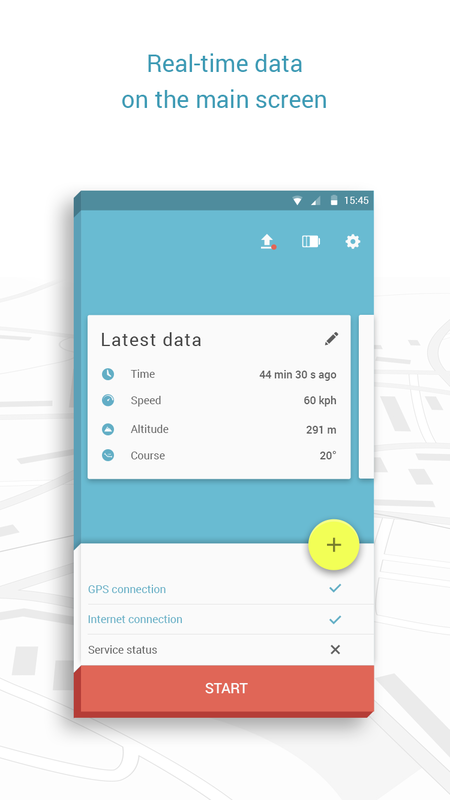 If roaming is activated or you encounter difficulties with data communication via mobile networks, “Data submission” menu allows you to log all the messages in the “black box” and upload them manually whenever Wi-Fi connection is active. 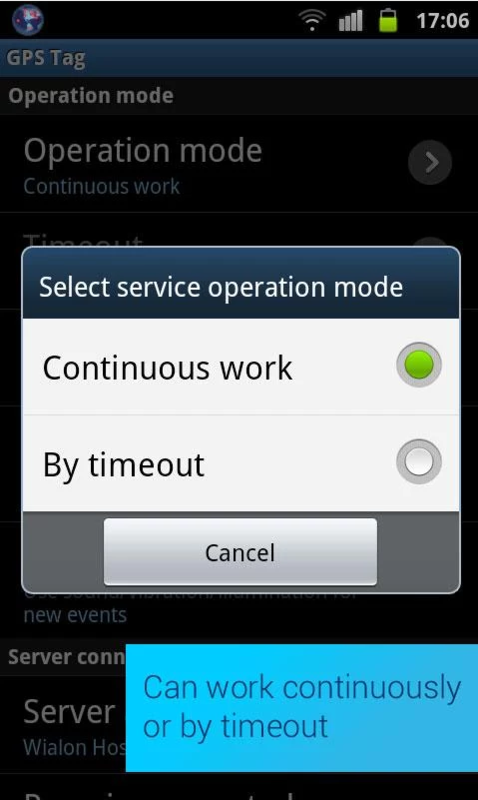 “Remote management” has also been added to the settings list. When the function is active, you can send various control commands from Wialon interface to manage the service. At the moment remote start or shutdown and snapshot from specified camera queries are available. Subsequently commands list will be extended. What’s more, new WiaTag application has optimized traffic consumption characteristics due to binary data communication protocol, allowing for two-fold traffic consumption decrease when compared to text protocol. To demonstrate the performance of both applications we conducted the following tests. We installed the apps on three Android-based smartphones of different generations and price ranges. Passenger car was used for test drives. All the devices were placed on the front passenger seat. We understand, that windscreen location is much more beneficial in terms of signal quality, but in reality a mobile device is often placed close at hand or even remains in a pocket. Windscreen-placed GPS tracking device with external antennas has been chosen as a reference device to detect location. Messages filtration settings were equally pre-configured on all the devices (minimum interval of 30 seconds, minimum distance of 500 meters, minimum course deviation of 15°, minimum velocity step of 10 km/h). Being independent, both the applications were concurrently active, as Android OS enables several apps to call over GPS-receiver. *Follow the link to see tracks for the specified devices. 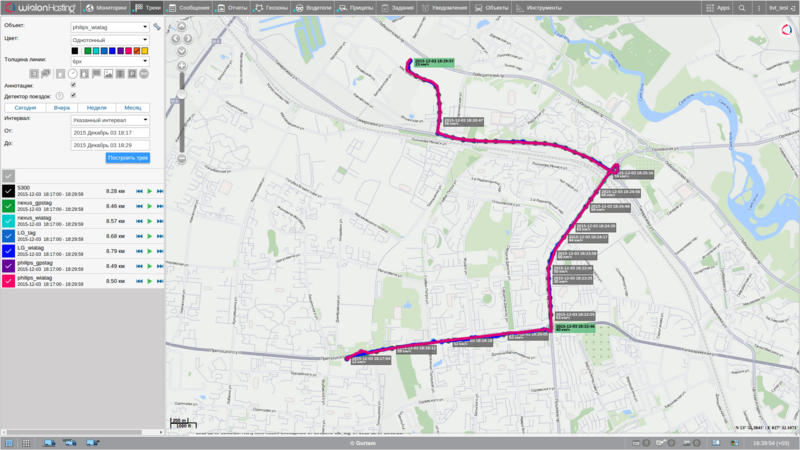 Virtually all the tracks are comparable and correspond to the route trail, apart from the tracks acquired with Philips smartphone that started to detect location at the halfway point. Subsequently we’ll ensure that the main reason for that is low GPS receiver quality. We observe high quality track rendering, including turns and junctions points. 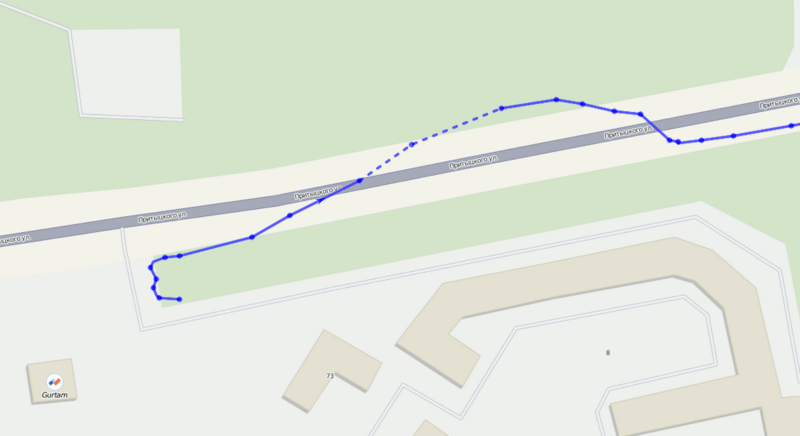 It should be noted, that WiaTag application required less messages to build a detailed track when compared to similarly pre-configured GPS Tag. The second test drive required messages filtration settings readjustment with decreasing minimum course deviation to 5° (minimum interval of 30 seconds, minimum distance of 500 meters, minimum course deviation of 5°, minimum velocity step of 10 km/h). *Follow the link to see tracks for the specified devices. This time all three mobile devices performed all the way. However minimum course deviation resulted in far too frequent messages whenever the slightest trajectory change has occurred. Philip GPS Tag tracker appeared to have lost satellite connection for several times, leading to message parameters containing several low-precision points. The experiment emphasized that track quality directly depends on messages filtration parameters and GPS receiver capabilities. Track rendering might also be affected by unfavorable weather conditions (fog). That’s why reference GPS tracking device fitted with active external antenna demonstrated much more fine-featured results with minimum “trash” messages sent. The tracks acquired with WiaTag and GPS Tag apps, installed on the same mobile device are nearly identical. 100% charged LG D405 Smartphone. Third party applications remained active to imitate regular smartphone performance. The smartphone remained still on the front seat of a passenger car for 6 hours with inactive screen and active applications. GPRS data communication activated. Wi-Fi disconnected. 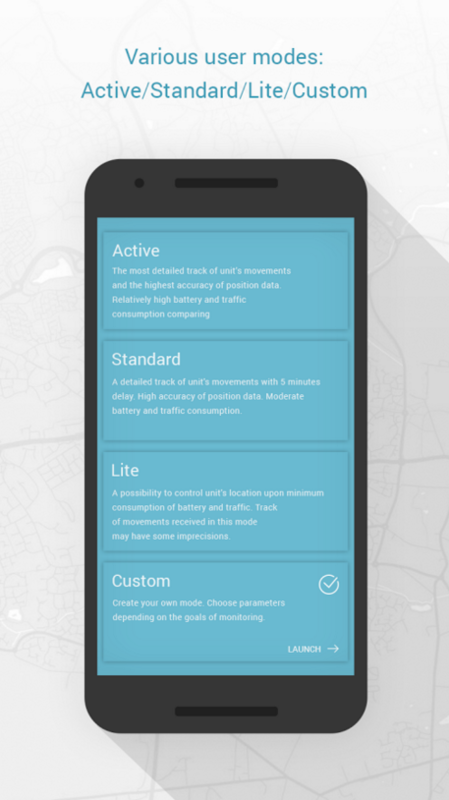 Location detection: GPS + Wireless networks. Messages uploading frequency: 30 seconds. Energy consumption assessment software: Gsam Battery Monitor. Both GPS Tag and WiaTag applications do a good job of movement tracking and can replace specially designed electronic devices in performing some tasks. The validity of selected settings plays a key role in track building quality. This is the reason we developed a number of pre-set user profiles to optimize settings for various implementation areas. The core problem of any software GPS-tracker is high energy consumption. There are various approaches that WiaTag uses to save battery power. The first is new operating procedure and reduced CPU access time. As a result, energy demand decreases. The second is motion detection sensor, decreasing power consumption for nonmoving units. WiaTag also has compulsory recording and unloading function for messages stored in the internal memory, to reduce mobile internet costs. The function is increasingly popular with those tracking units abroad. Both the applications can send images, but with WiaTag you can query photos remotely using Wialon system. Gurtam development team managed to draw the right conclusions from the experience, gained with GPS Tag application, and apply it for the development of WiaTag. Try it and make sure we are right!